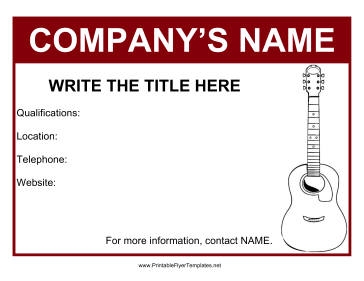 This simple guitar lesson flyer is great for music students or professional teachers. It includes a picture of a guitar and a bold border to help it stand out wherever you post it. You should be sure to list your qualifications, the location, your number, and your website on the flyer.